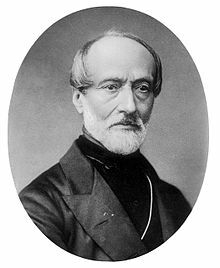 Giuseppe Mazzini (22 June 1805 – 10 March 1872), nicknamed "Soul of Italy," was an Italian politician, journalist and activist for the unification of Italy. His efforts helped bring about the independent and unified Italy in place of the several separate states, many dominated by foreign powers, that existed until the 19th century. He also helped define the modern European movement for popular democracy in a republican state. Art does not imitate, but interpret. It searches out the idea lying dormant in the symbol, in order to present the symbol to men in such form as to enable them to penetrate through it to the idea. Inexorable as to principles, tolerant and impartial as to persons. The epoch of individuality is concluded, and it is the duty of reformers to initiate the epoch of association. Collective man is omnipotent upon the earth he treads. Your first duties-first as regards importance-are, as I have already told you, towards Humanity. You are men before you are either citizens or fathers. If you do not embrace the whole human family in your affection, if you do not bear witness to your belief in the Unity of that family, consequent upon the Unity of God...if, wheresoever a fellow-creature suffers, or the dignity of human nature is violated by falsehood or tyranny-you are not ready, if able, to aid the unhappy, and do not feel called upon to combat, if able, for the redemption of the betrayed or oppressed-you violate your law of life, you comprehend not that Religion which will be the guide and blessing of the future. Country is not a mere zone of territory. The true country is the Idea to which it gives birth; it is the Thought of love, the sense of communion which unites in one all the sons of that territory. So long as a single one amongst your brothers has no vote to represent him in the development of the national life, so long as a single man, able and willing to work, languishes in poverty through want of work to do, you have no country in the sense in which country ought to exist-the country of all and for all. This page was last edited on 22 June 2018, at 17:35.